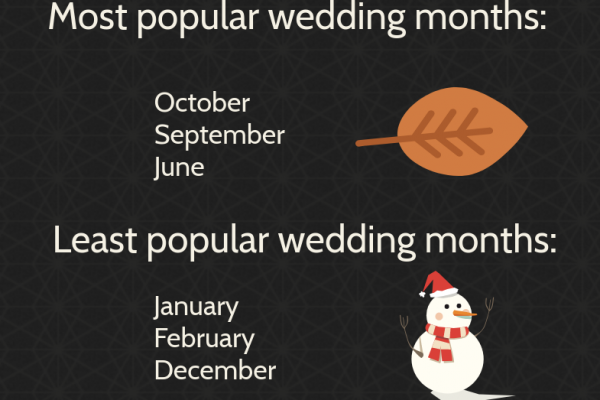 If you’re reading these, then you’ve likely decided to include children to the wedding guest list roster. While this decision can be extremely thoughtful, adorable, and sentimental, some hurdles remain. 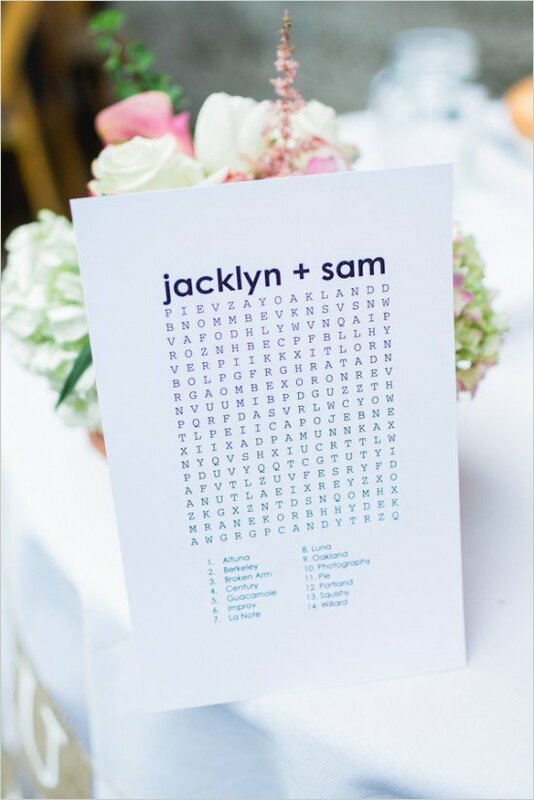 Keeping younger guests entertained at the wedding can be a challenge, but if you arm yourselves with proper table activities, they’ll be happily entertained throughout the evening (so that you can happily dancing the night away). Here’s the ultimate list of kids activity table games. 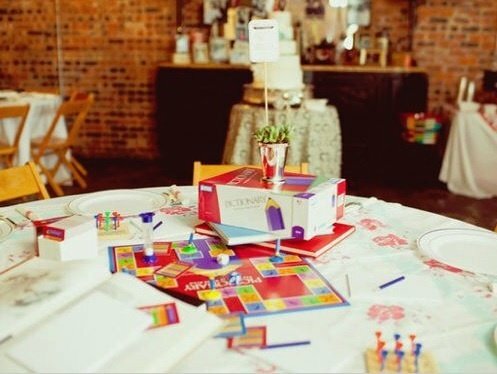 Forego the elegant table centerpiece for a rousing, age appropriate board game. 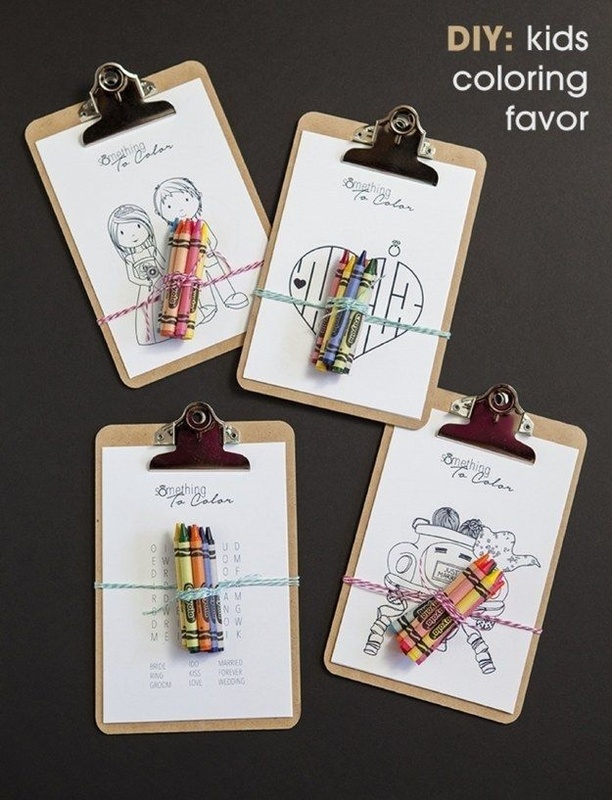 Easily DIY your own kid friendly version and be sure to include personal tidbits about your own love story. 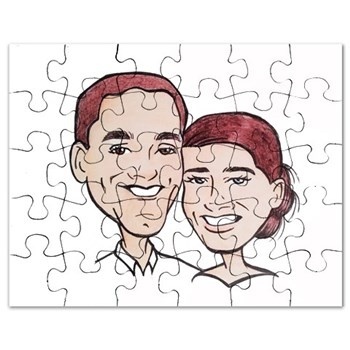 A customized puzzle acts as a kid friendly reception activity as well as a fun favor for guests to take home. 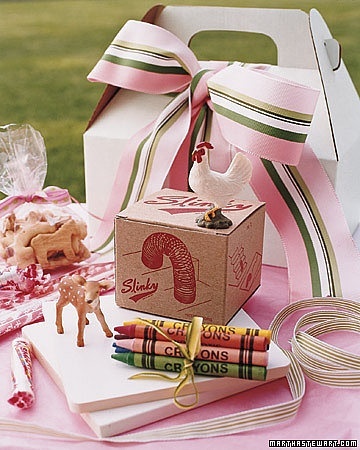 Create your own play pack filled with toys, crafts, and snacks. Try using paper placemats in lieu of fancy folded napkins and fabric tablecloths for the kids table. 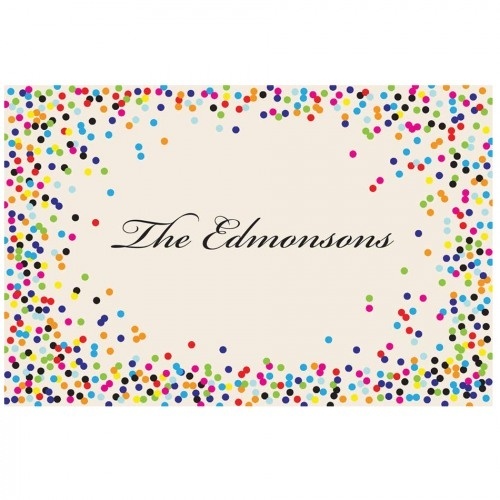 Sophisticated placemats like the one above will provide style as well as act as a child’s drawing board. Every kid looks forward to opening their lunch pails to find out what’s in store. 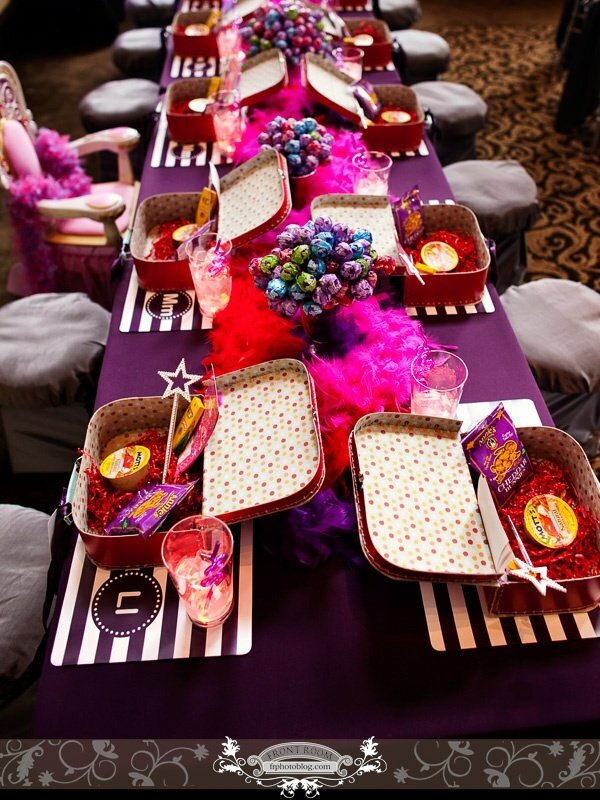 Give them that same thrill at your wedding by creating fun-filled lunch pails for the reception. 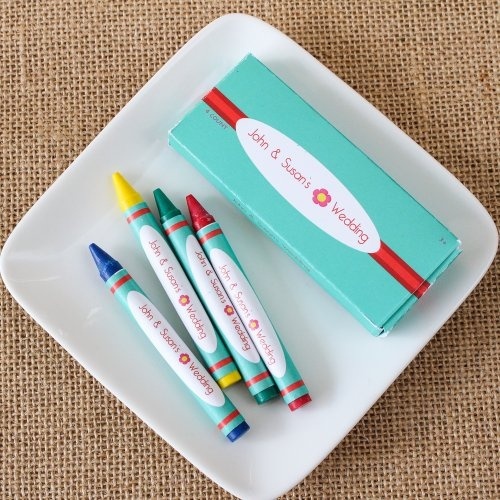 Place personalized crayons at the kids table with blank paper, activity kits, etc. and invite them to let their imaginations run wild! 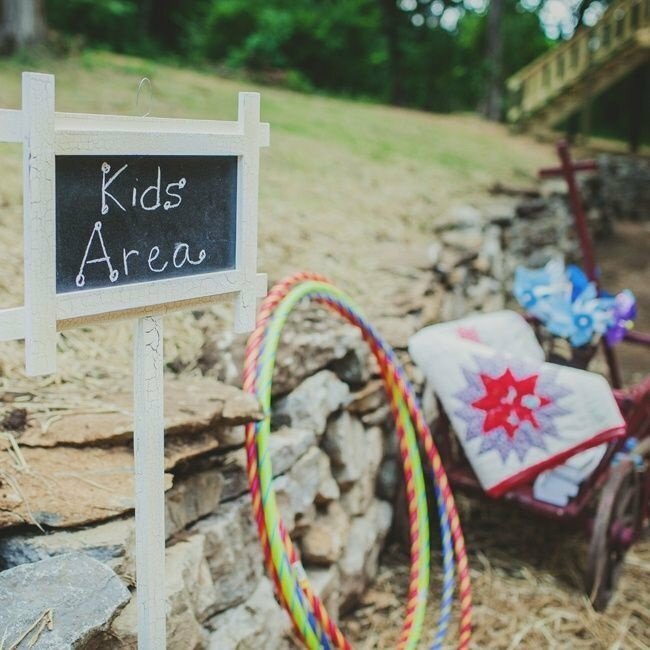 If space allows, consider allotting a designated kids play area. Fill with hula-hoops, board games, and toys to keep the little tykes entertained. 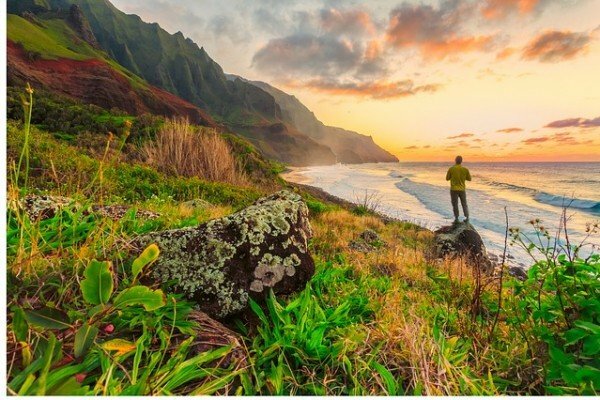 Place a disposable camera at each kid’s seat with an “I Spy” game. 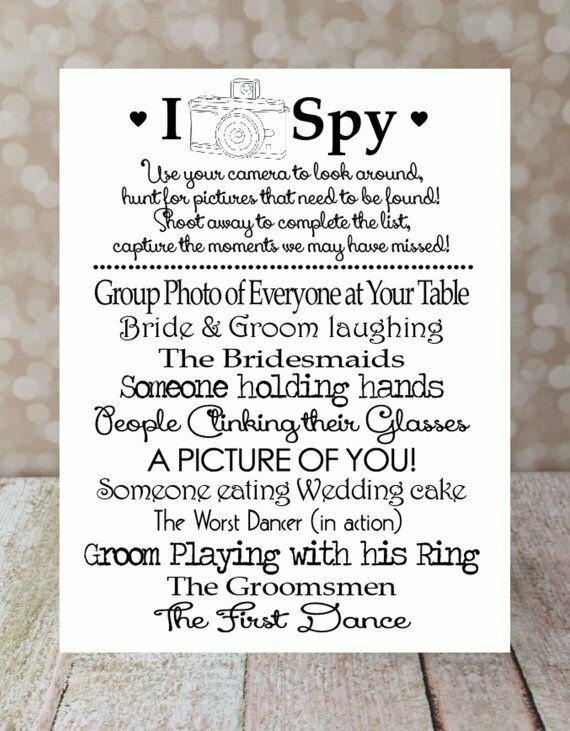 They’re sure to be entertained and busy the whole evening by hunting down the I Spy items! 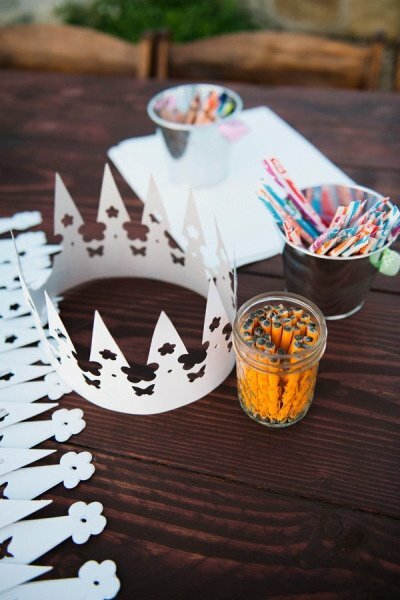 Invite your tiny guests to create their own custom crown by placing cut out paper crowns and crafting supplies like crayons and pencils at the table. Try leaving a fun snack or snack pack on each child’s place seating. 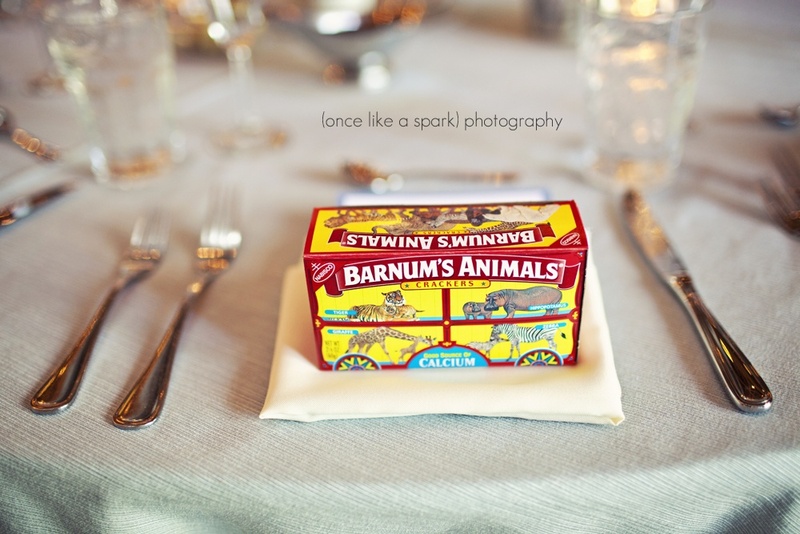 Animal crackers are a healthy and tasty option. 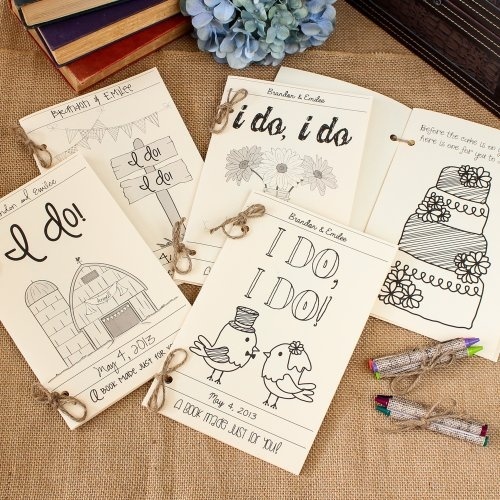 An easy solution to keeping the little ones entertained is by handing out these personalized wedding coloring books. If you’re DIY bound, give this easy to assemble crafty clipboard a try. 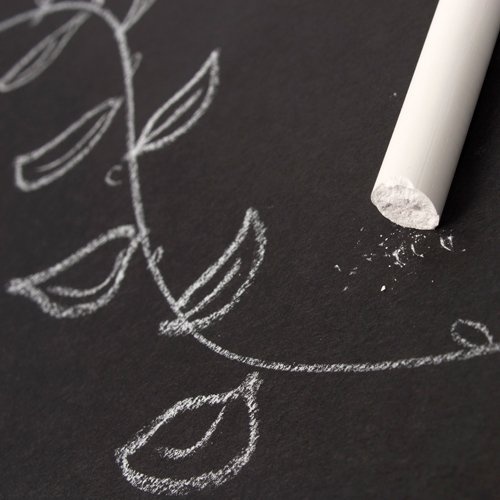 We love this option as the chalkboard table runner looks great for a rustic, outdoor, or vintage theme – but it also acts as a blank art canvas for the kids. 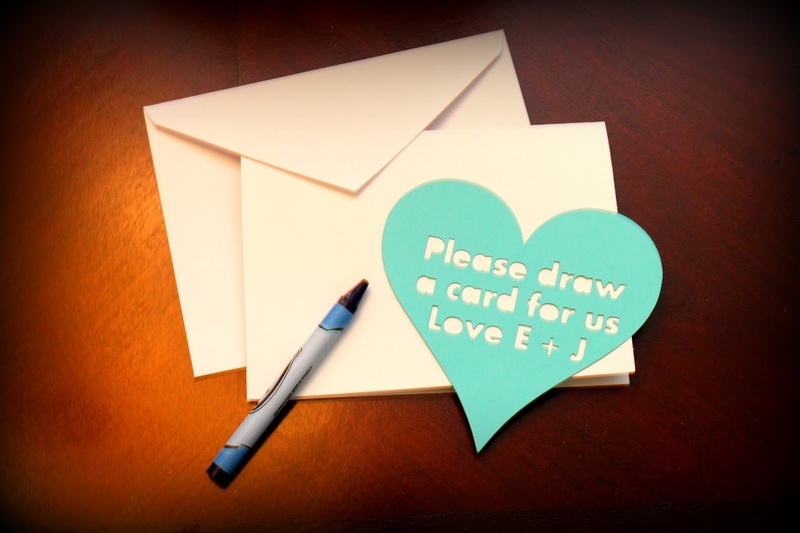 Invite your smaller guests to leave their wedding wishes byway of a DIY greeting card. This option marries the snack + play route. 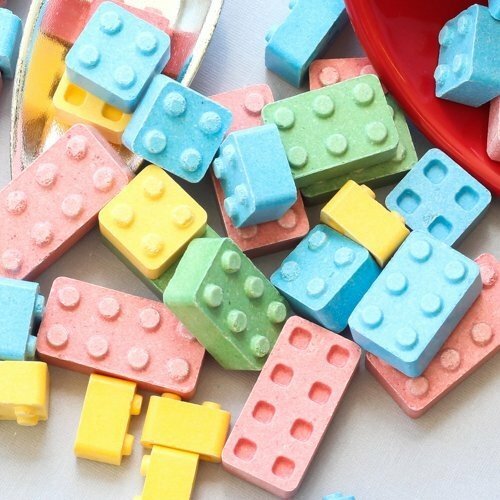 Conveniently block-shaped candy tastes as yummy as they are fun. 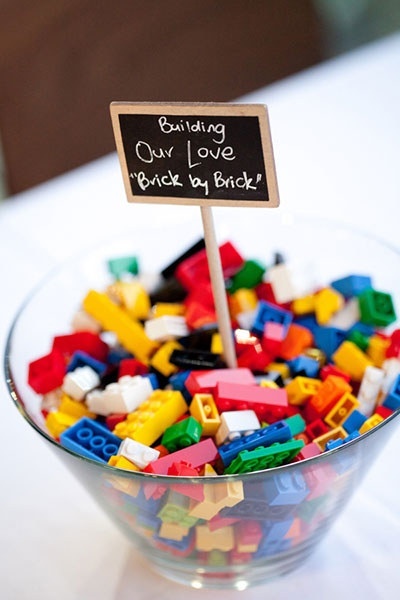 Or leave out a bowl of “real” Lego building blocks and invite the kids to help you build your love. 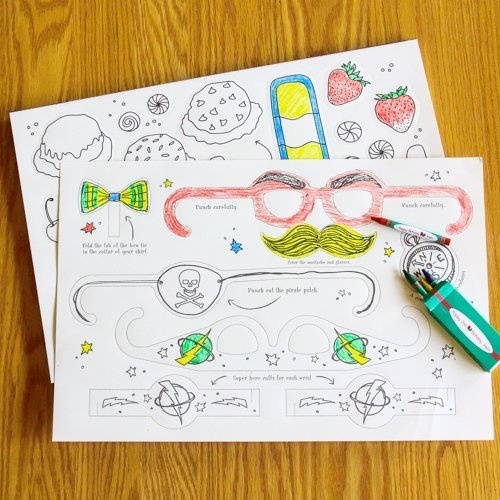 For a surefire win, hand out these ready-made activity placemats. They include punch-out, wearable accessories.